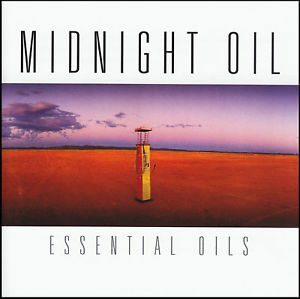 Essential oils by Midnight Oil. Oh my garden by Sophie Koh. In popular music there are two greatest hits compilations featuring legendary Australia rock group, Midnight Oil, and pop performer Daryl Braithwaite. Essential Oils features all the bands definitive hits in chronological order over twenty-five years, from 1997-2001. Included are favourites such as Power and the passion, Beds are burning and My country. The Days go by album showcases Daryl Braithwaite’s career highlights to date and features brand new music. 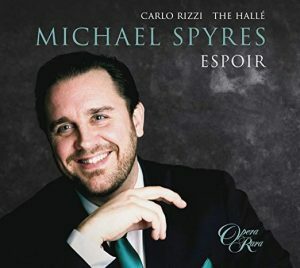 Included are chart topping hits such as The Horses, Rise and You’re my world. 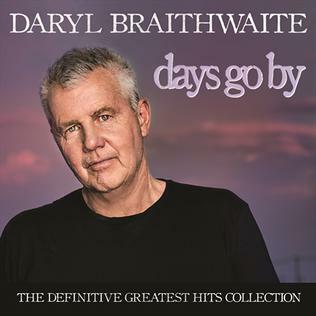 Days go by : the definitive greatest hits collection by Daryl Braithwaite. Breakfast in America by Supertramp. 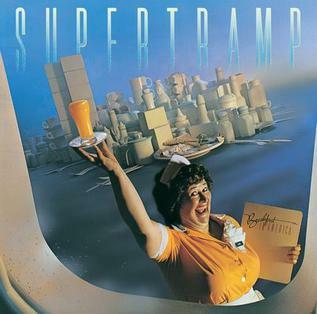 Breakfast in America is a 2002 rerelease of the 1979 multi-platinum best seller by British rock band, Supertramp, that spawned hits like The Logical Song. 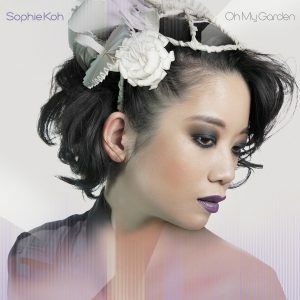 Oh my garden is the third studio album by the New Zealand born, Australian based singer-songerwriter, Sophie Koh. Complete etudes for solo piano by Philip Glass, with Sally Whitwell, piano. Espoir is the debut recital album by acclaimed American tenor, Michael Spyres, and includes compositions by Rossini, Donizetti and Berlioz. 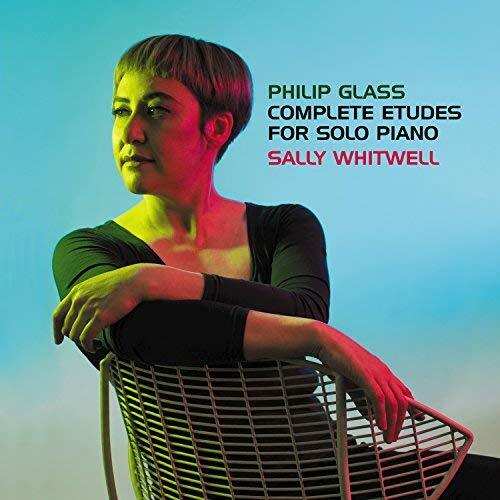 Complete Etudes for solo piano features Australian pianist, Sally Whitwell, performing a series of works for solo piano by American minimalist composer, Philip Glass. 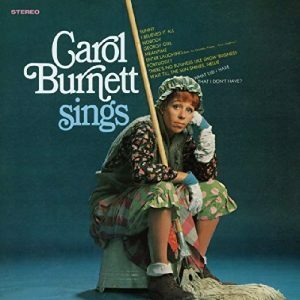 Carol Burnett sings : 50th anniversary expanded edition. 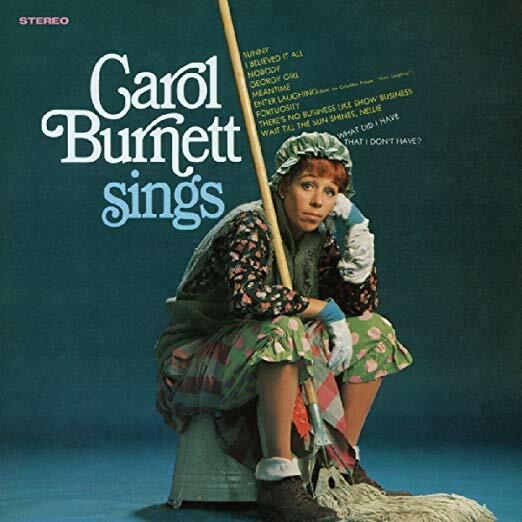 Carol Burnett sings is a 50th anniversary expanded editon of an album released on the RCA label in 1967 as a tie-in with the launch of the long-running, Emmy-winning CBS-TV series, featuring the legendary American comedienne and performer. A great listen with popular songs like Sunny, There’s no business like show business, Georgy girl, Wait till the sun shines, Nellie and The bullfrog patrol. The great race is a 3-disc limited edition release of the original motion picture soundtrack for the 1965 Blake Edwards box office hit. With music by Henry Mancini, this box set features both the World Premiere release of the original film score in stereo, and the original, 1965 re-recorded LP album tracks, remastered. 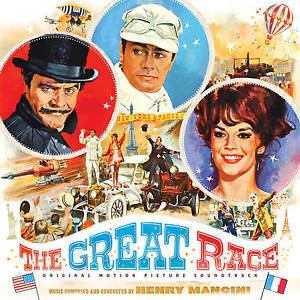 The great race : original motion picture soundtrack : limited edition release. Music composed and conducted by Henry Mancini. All of these CDs are currently available on listening posts in Arts as indicted on the online catalogue. 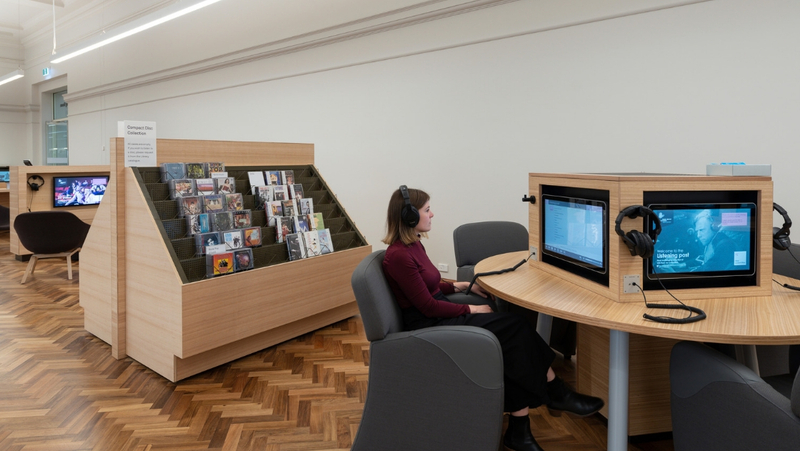 There are eight listening posts in the Arts Reading Room, where you can listen to a mixed choice of CDs from the audiovisual collection. Sophie Koh performing on a tram is irresistable. Thanks Andrew. Glad you enjoyed.